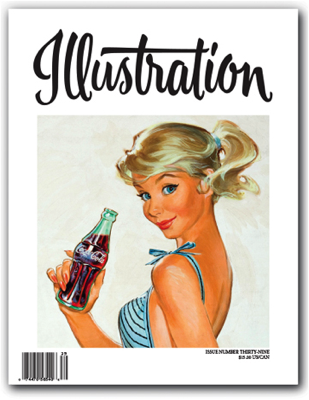 In this issue: First up we feature the pin-up art of Pete Hawley, and his work for Jantzen Swimwear in the 1950s and '60s. Our next feature concerns the work of legendary illustrator Heinrich Kley, whose brilliant line work captivated Walt Disney and influenced the style of Fantasia. Our final story profiles paperback and advertising illustrator William Ira Teason, written by his daughter. Book reviews, exhibitions and events and more round out the issue. 80 pages in full color.